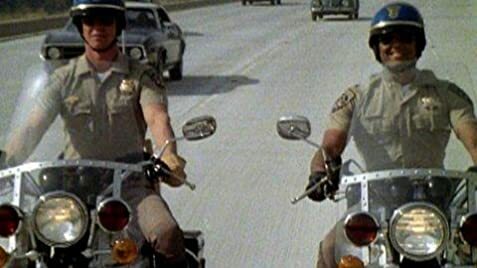 How many episodes of CHiPs have you seen? Sgt. Joseph Getraer: Now, about the paychecks. Officer Barry Baricza: Yeah, I've got a car payment due! Sgt. Joseph Getraer: Settle down! Just settle down and we'll try to sort out your paychecks. Officer Barry Baricza: Well, how much was YOUR paycheck? Sgt. Joseph Getraer: [nervously] It's... more than I usually get. Sgt. Joseph Getraer: It's closer to what I deserve. Q: Did Erik Estrada really injure himself on the Chips set? Q: Why was Chips canceled? 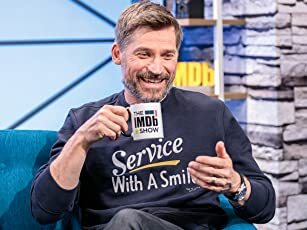 Wasn't the show still popular at the time? Q: Did Erik Estrada quit the series due to a contract dispute with the producers? Officers Francis "Ponch" Ponchorello and Jon Baker were the CORNIEST cool guys in the history of Hollywood TV. Make no mistake, these dudes were cool. Two young and reasonably handsome guys, athletic and fit looking while living that romantic fast life in Southern California. They were the man on bikes, high pursuit cops who enforced the law. Off duty their weekends could be spent jet skiing, sailing or sky diving, when the rest of us are off at the movies or perhaps hanging out at the mall. They also had the badge and gun, the uniforms, and of course the bikes that they would race at 90 mph on the highways while chasing bad guys, they were cool dudes. Then of course they romanced plenty of disco era honeys. But Ponch and Jon were not cool cool, they were just too over the top corny and Ponch was way too hammy. Then there was that silly freeze frame smile they all did at the end of the show. 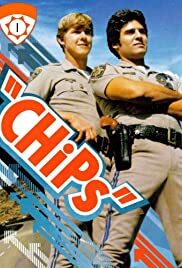 If you are over considerably over 40 today you probably think CHiPs is ridiculous because you were likely a teenager or young adult back then and you yourself were just too hip and cool back in the day to have appreciated CHiPs. And if you are 25 and under today then you are likely on the other side of being too cool for CHiPs because you may think the show is just flat out stupid. The series would likely look way too old for much of the early 20s and teenager crowd. The show had silliness, but not Dukes of Hazzard or Knight Rider silliness, Ponch and Jon were still grounded in something very close to our real world. If you are a middle-late Gen Xer born in the 70s and had a childhood in the 80s, then CHiPs was part of your syndicated TV diet. You know you watched.